Are you interested in getting away from the busy city and exploring the beautiful countryside of Sri Lanka on an exciting cycling tour? In Sri Lanka, the cultures, customs, lifestyle and language are very different from province to province. 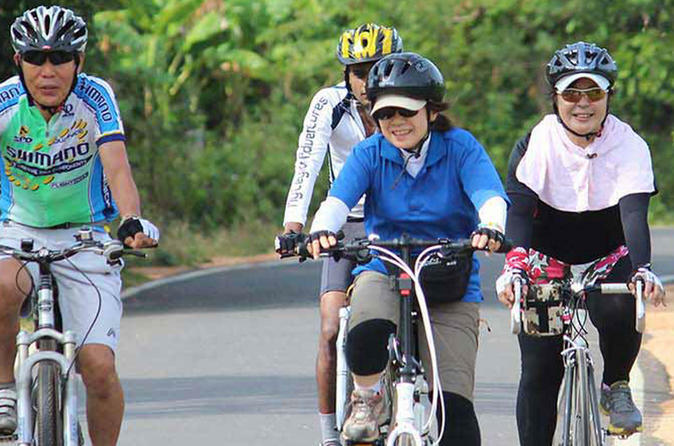 Bentota is coastal town in Sri Lanka and cycling there is much more than just a paddling ride. Imagine you exploring Sri Lankan by cycling through beautiful paddy fields, Kande Viharaya Buddhist Temple, a fishing village and other scenic places during the tour. Total cycling distance would be 30 Km and approx. four to five hours.